Four vehicles were involved in an attempted cash-in-transit heist in Randburg, South Africa. 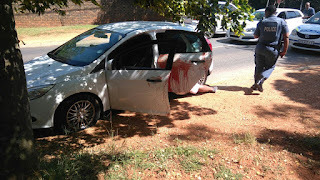 The crooks were after an SBV vehicle that was collecting money. Security shot back at the suspects, fatally wounding one.